Social networks have promoted a new way of doing politics, in which the political parties are adapting. 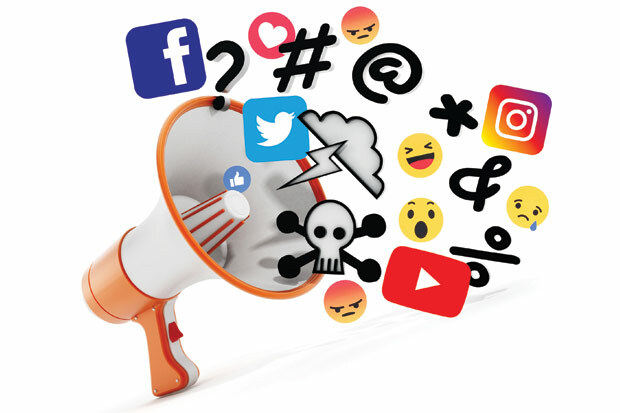 The social networks are full of personal attacks and false profiles with a view to the political campaign, where memes and injurious information are shared. If what is posted on the social networks were the truth, the Costa Rica presidential ballot of February 2018, would be a race between a presumed “Cosa Nostra” puppet, a supposed aggressor and even the reincarnate of former Venezuelan leader Hugo Chávez. False profiles, bots, internet trolls, hackers and all types of cyber terrorists are waging a guerrilla war in the virtual world with less than three months before the elections, where the truth has been hijacked and conspiracies, insults and even abuse reign. For every presidential candidate, there is a cybernetic nemesis on Facebook, Twitter, and other social media, which is responsible for vilifying rivals. The worst thing is that this new way of doing politics is here to stay, and the candidates have to adapt to survive. But don’t take our word for it, even Otto Guevara, and he should know, the most experienced of all presidential candidates, the perennial candidate that is running his fifth consecutive attempt to sit in the presidential chair, asserts that this is the dirtiest campaign in the country’s history. Luis Antonio Sobrado, the president of the Tribunal Supremo de Elecciones (TSE) – Elections Tribunal – recognizes the dangers of misinformation and thus has asked voters to choose well and be careful of malicious information. “Before voting, the voters have to look for the quality information about the aspirants, their ideas, and record. They have to be on guard against rumors, with a critical attitude when it comes to consuming information. Faced with an affirmation, positive or negative, they have to see if it is supported, the credibility of the person who says it and with what evidence it does so. Getting informed is not stuffing oneself with data and news. It requires reflection and discernment on your part,” Sobrado told voters. “El Oráculo de la verdad” (Oracle of truth), “Yo ayudé a destruir al PLN” (I helped destroy the PLN), “Patria Libre de Corruptos” (Nation Free of the Corrupt) and “Cementazo”” are some of the Facebook profiles that share critical material regularly, against parties and candidates. These and other media attempt to appeal only to the irrational criticism of voters, who do not realize they are falling into a trap and share and viralize defamatory messages on their own (real) profiles. This, regardless of the fact that since 2012 the Criminal Code sanctions with prison those who propagate false news or facts or supplant the identity of someone through electronic means, such as social networks. For example, the law sanctions for up to six years in prison anyone who impersonates the identity of a third party in a social network, while a similar penalty applies to those who disseminate false information. The reality, however, the law is almost impossible to put into practice, to control the dissemination of defamatory messages, messages that are then shared over and over by ordinary citizens, leaving presidential candidates virtually defenseless. What they (the candidates) could do is try to get to the source and report it to the Organismo de Investigacion Judicial (OIJ), but so far that has not happened.